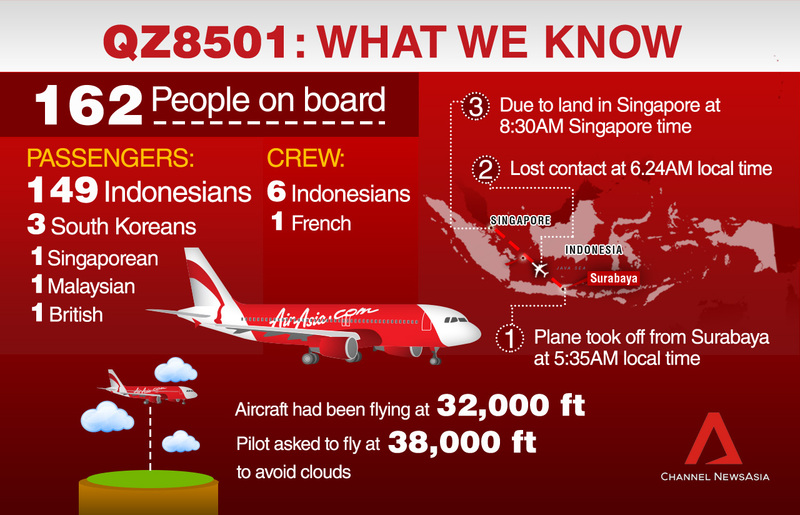 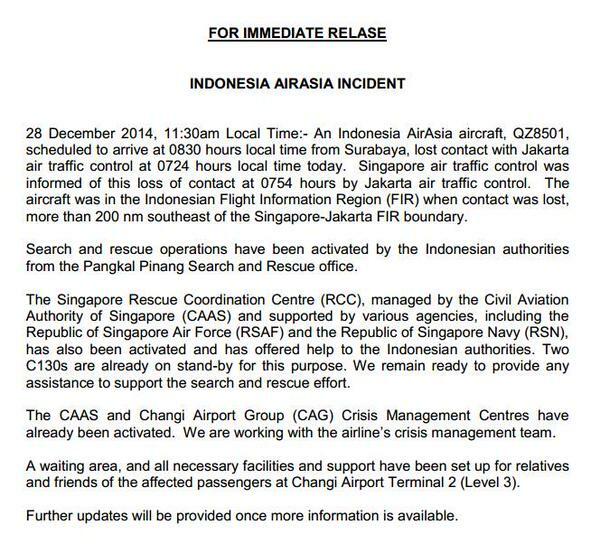 Channel NewsAsia, LIVE BLOG: Missing AirAsia flight QZ8501, December 28-29, 2014, http://www.channelnewsasia.com/news/live-blog-missing-airasia/1553132.html. 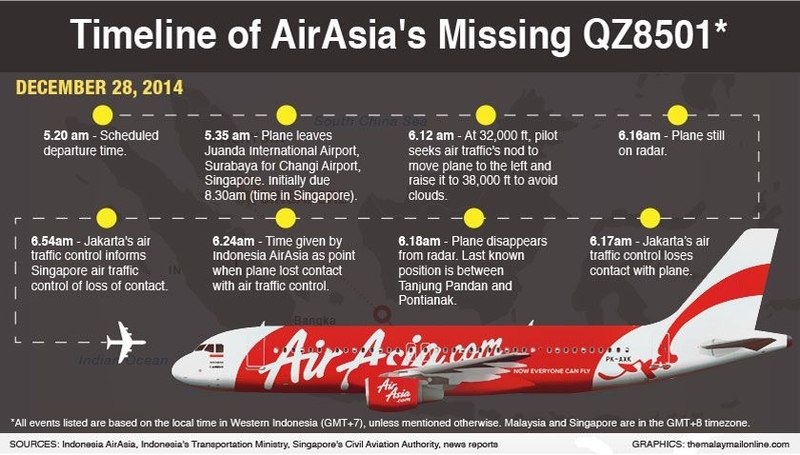 malaymail online, Device onboard Airasia flight QZ8501 can locate missing plane, says expert, December 29, 2014, http://www.themalaymailonline.com/malaysia/article/locator-device-onboard-airasia-flight-qz8501-can-detect-missing-plane-says#sthash.8XT5Ice1.dpuf. 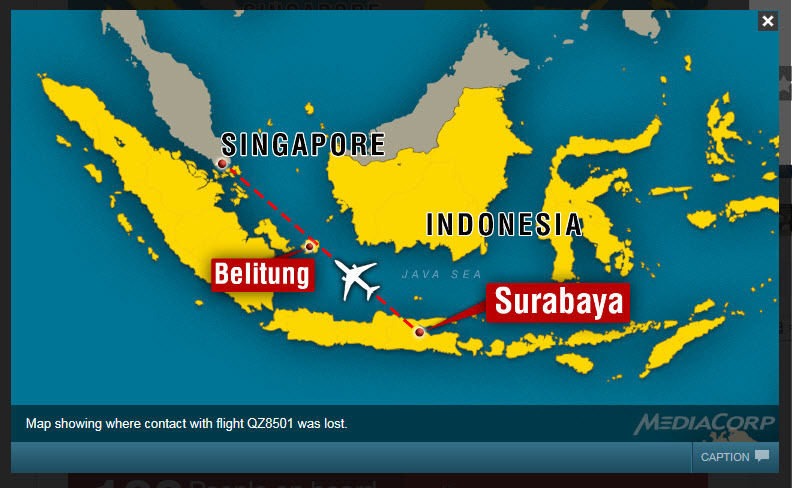 Yahoo! 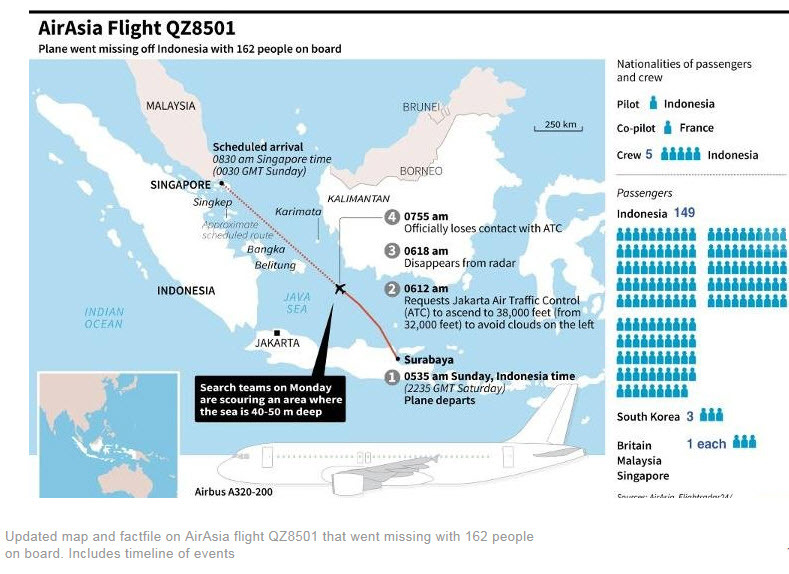 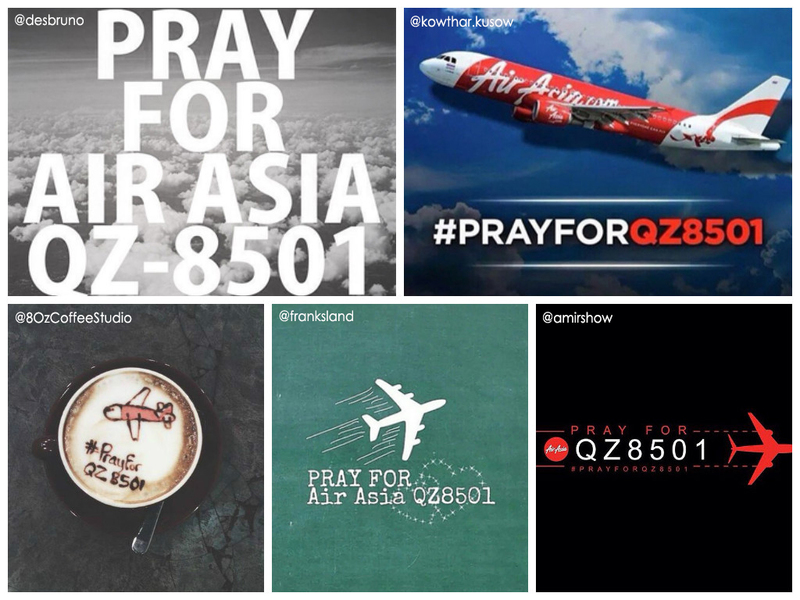 Singapore, First full day of search for AirAsia jet #QZ8501 yields little fruit, December 29, 2014, http://news.yahoo.com/contact-with-airasia-flight-qz8501-bound-for-singapore-from-surabaya-lost-033803688.html.